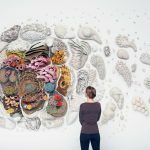 Vanessa Barragao is a Portuguese textile artist that recycles wasted yarns from the industry and transform them into underwater landscapes by focusing on artisanal techniques. 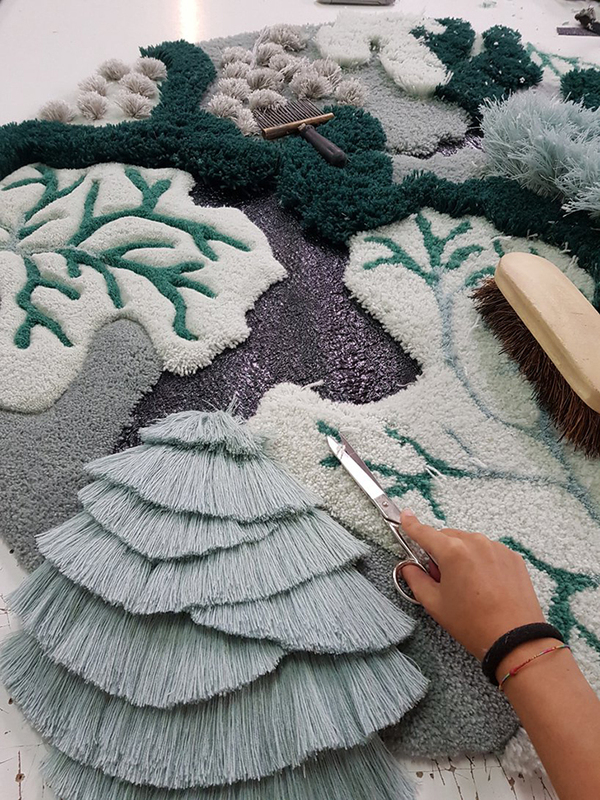 Her wall hangings and rugs are sea gardens inspired by the colors, shapes and textures of the coral reefs. Vanessa Barragao was born in Albufeira, in the south of Portugal. 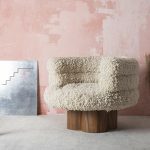 During her Master degree at the Lisbon University in fashion and textiles design, she developed her first wool yarn collection and tapestries through an ecological artisanal process. Currently, she is based in Porto, the Northern region of Portugal where the nation’s textile industry core is located. All images © Vanessa Barragao. As we all know, the textile industry is one of the most polluting in the world. In almost everything process chemicals are used, specially when it comes to the fibers treatment and dyeing. All the machinery used requires tons of energy while producing a lot of waste and disposable trash. 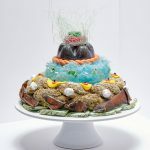 It is extremely harmful for our world and it affects all of its different natural environments, particularly the ocean which absorbs 90% of the atmosphere pollution, warming up itself to the point that so many species get threatened, being the corals, who sustain so many other creatures, one of the most endangered ones. 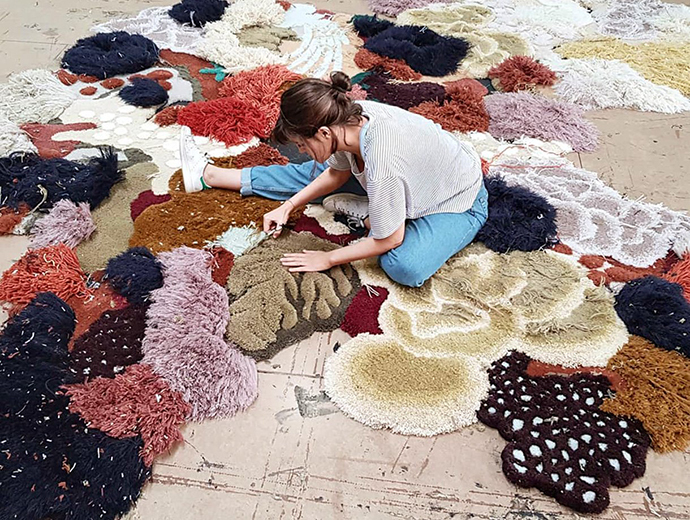 Combining craft and recycled materials into unique and luxurious sculptural carpets and tapestries, Vanessa aims to fight against the negative mindset that define the sector. 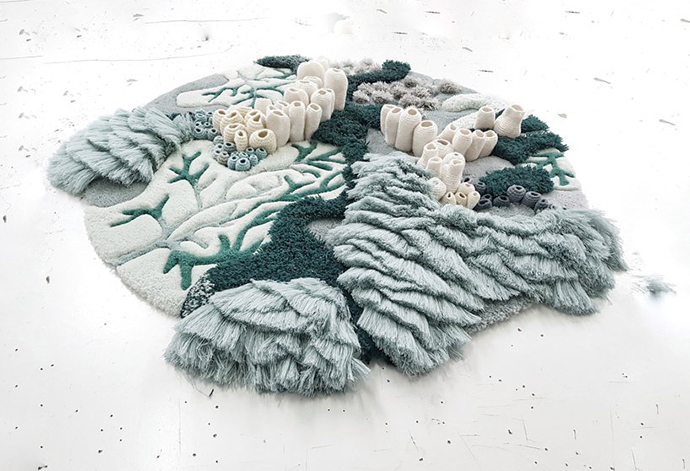 “My ultimate goal with my artworks is to raise awareness of the dark consequences that our footprint is causing on Earth, particularly in the water habitats, and hopefully, this way, I can contribute on giving a more clear and bright perception towards a cleaner ecological path” says the artist. 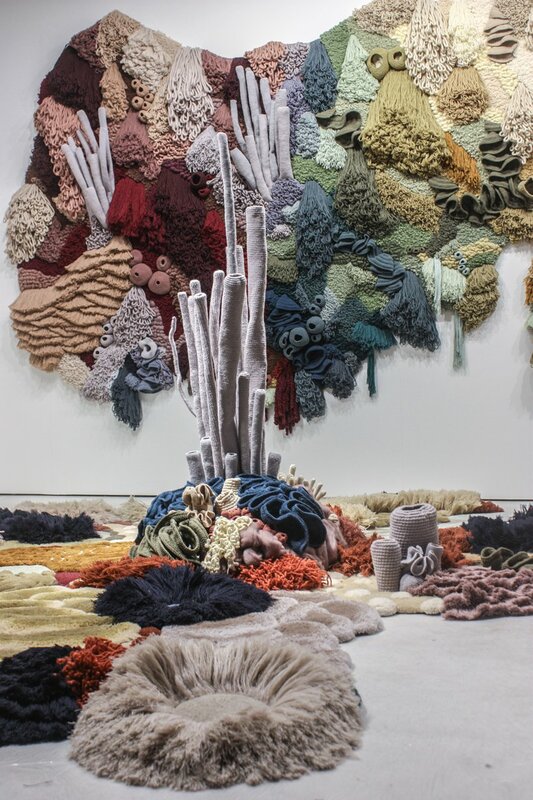 Coral Garden is Vanessa Barragao‘s most recent work and was presented in the Art and Interaction section of Domotex 2019 in Hannover. 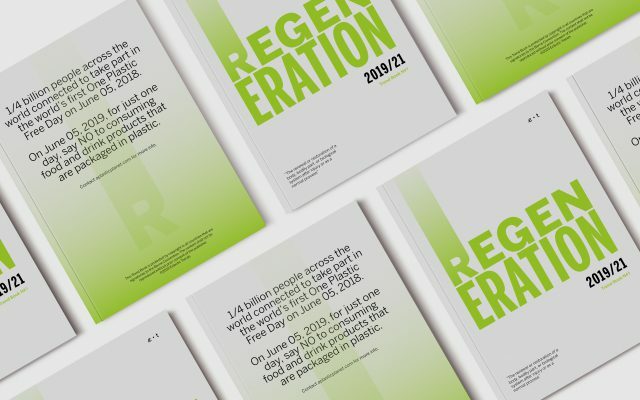 All the materials used come from the deadstock of several local factories which is first cleaned and then selected to recycle and reuse in her projects. 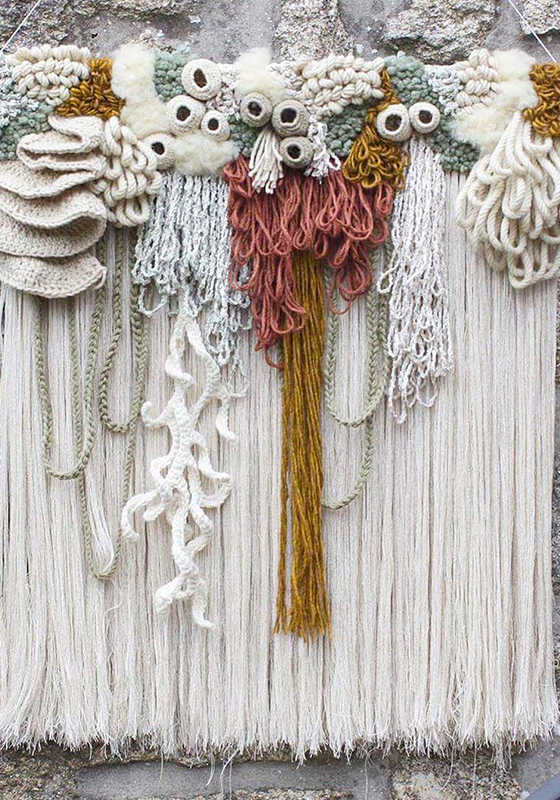 Her production is completely artisanal and handmade by using ancestral techniques, like latch hook, felt, knitting, macrame and crochet, to create her artworks. 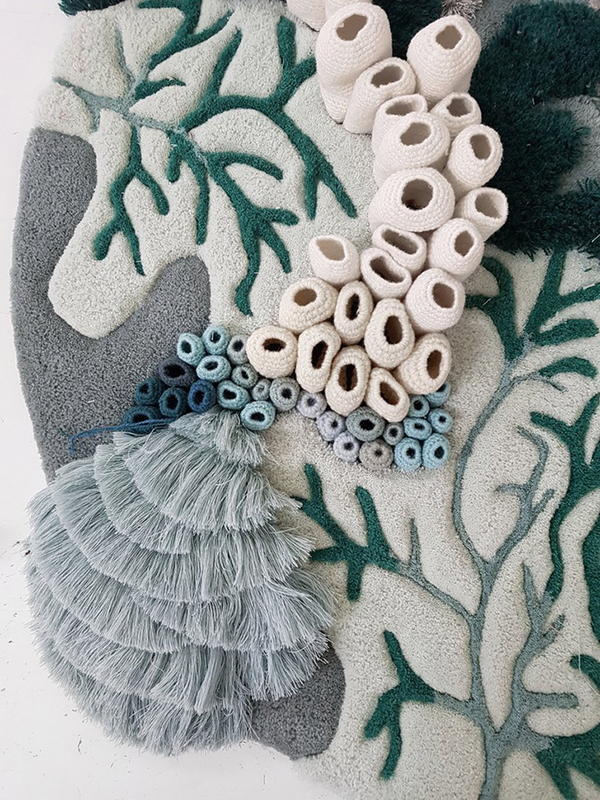 Do you remember the story we posted about bleached corals and how another artist would draw attention to this topic through amazing ceramic design?